The Multi Tray Scrap Shaker, sometimes known as the Vibratory Scrap Shaker or the Electro Mechanical Scrap Shaker is the ideal solution for linear scrap removal from all types of presses. The principle behind the Vibratory Conveyor or scrap transporter utilizes the ‘table cloth effect’ a slow acceleration in the forward stroke (material is transported forward) and a rapid return stroke material will remain stationary), so ensuring movement in one direction only. Due to its compact design, the Vibratory Scrap Shaker may be installed in confined, congested areas. Unlike many other transporters, shuttles or traditional conveyors, the Vibratory Scrap Shaker does not need to be in close proximity to the tool. The scrap removal trays pass under the tools and onto the occulting beam and clear of the tooling. The control equipment and isolator (supplied) can be mounted at a covenient point close to the scrap shaker (Vibratory Conveyor). 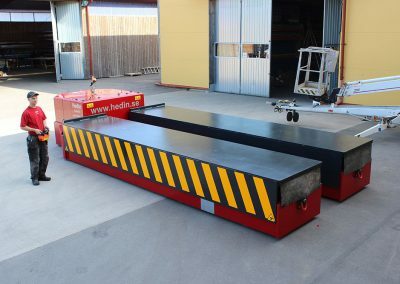 The Vibratory Scrap Conveyor or linear scrap transporter can be used with a long single tray stretching some 10 metres or more depending on width, but is also adaptable for multi-tray installations, such as in the example top right Multiple Trays. The Vibratory Conveyors simple, robust and flexible design ensures safety, reliability, efficiency and cost effective choice. The Vibratory Scrap Conveyor is easily adaptable to meet your requirements. A selection of trays can be mounted on the unit. 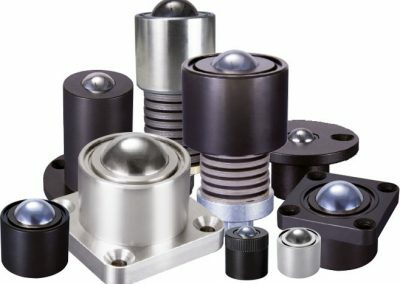 Common ‘low profile’ trays can be used for different tools and applications. The length of the trays presents no problem. 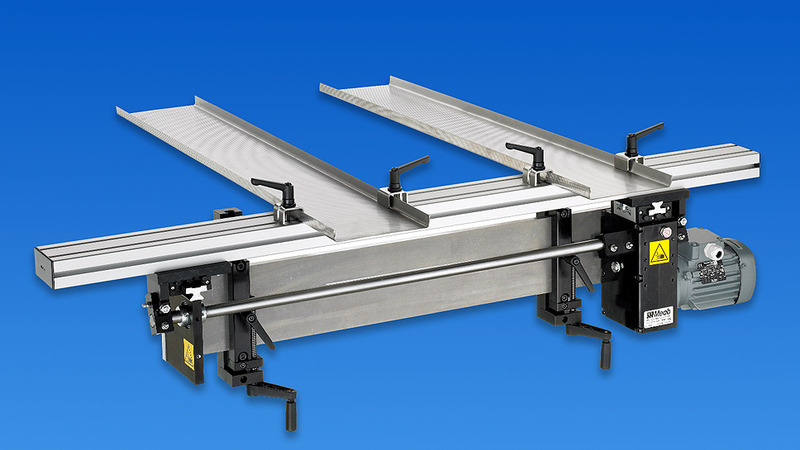 If using trays over 3 metres, linear bearing supports can be provided. No Mechanical Springs. No air required. 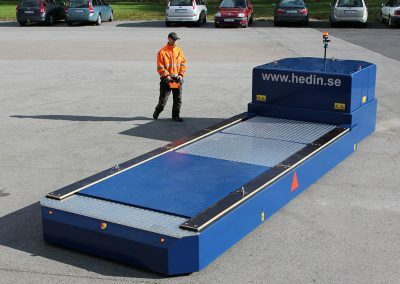 Scrap or products are transported at 4.5 metres/minute. Transports scrap horizontally. No incline needed. 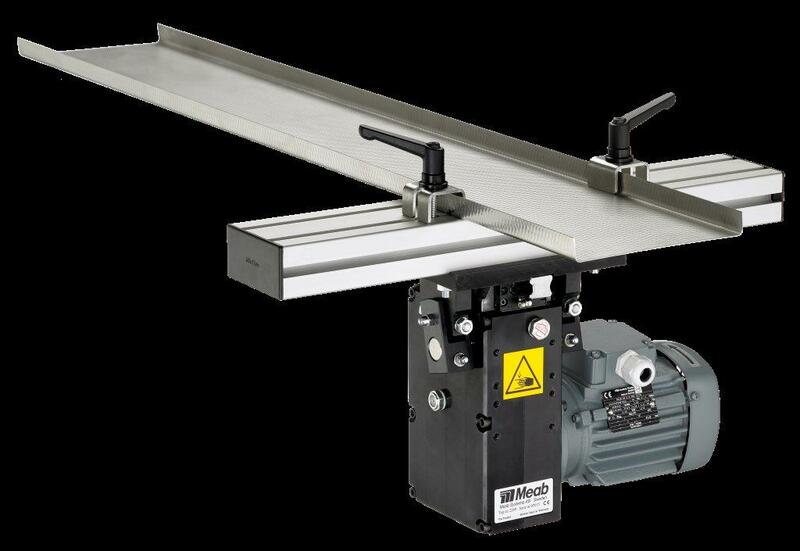 The Vibratory Conveyor transports parts along an assembly line or removes scrap from beneath machine tools, especially suited where conventional conveyors cannot be used. (Low profile trays). 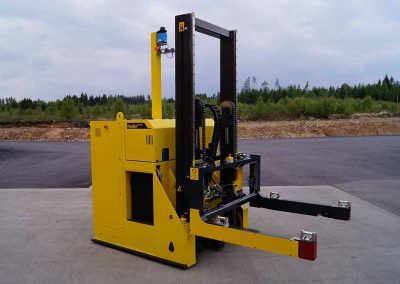 The concept of the electro mechanical Vibratory Conveyor or linear scrap transporter was inspired by the needs of the pressing and stamping industry to employ a robust, silent, reliable, safe and effective way to automate material removal from the underside of press tools and dies. Today, the Vibratory Conveyors or Multi Tray Scrap Shakers can be found in many other applications which are ideally suited for this method of transportation such as in casting, foundry, machine tools and pharmaceutical industries. Many of which have replaced conventional belt conveyors.